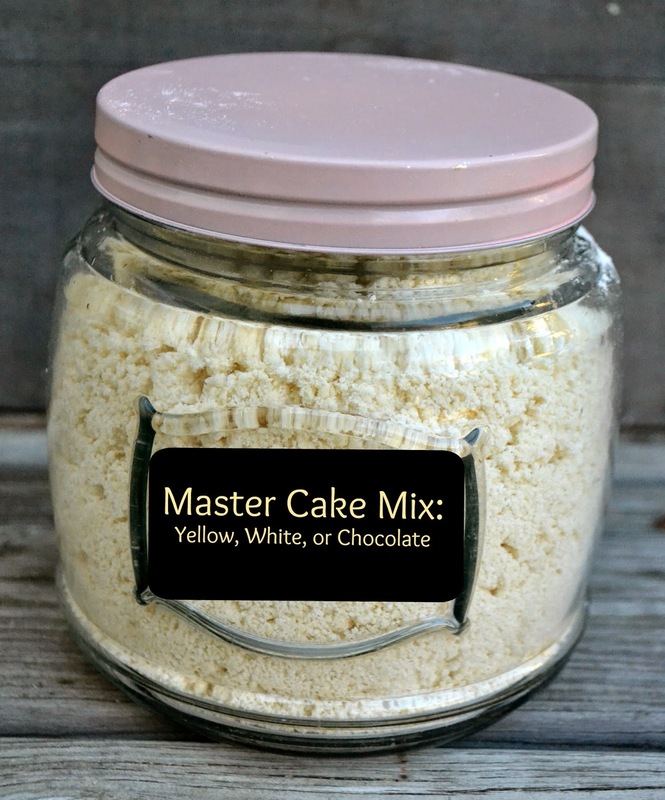 This Master Cake Mix makes about enough to equal 3 store bought boxes of cake mix. It is a yellow cake mix, but can be made into all white cake as well. I love that you can control the ingredients, cost and still have the convenience of s cake mix. Want a chocolate cake? I"ll share my tips below for converting this recipe to a chocolate mix both in bulk for the whole master mix, or just the individual batches you make. I usually have a full batch divided into 3 gallon sized storage bags in my pantry. Ready to go. I add the cocoa separately if I want it as a chocolate cake rather than the entire batch. i just want the flexibility better. 2 1/2 cups vegetable shortening. Mix together dry ingredient in large mixing bowl. Using a pastry blender or stand mixer, blend in the shortening till mix resembles cornmeal in texture. Store mix in one large air tight container or divide by putting 5 cups each into gallon sized storage bags. In mixing bowl combine all ingredients, and mix well till very well blended and very creamy. Mix 1/2 cups cocoa powder to cake mix.